Description: Early season ride through quiet, scenic, well-loved roads. 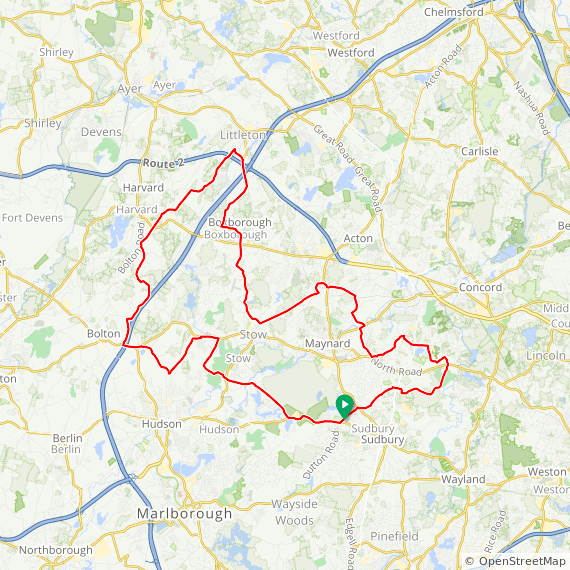 The short ride goes through Sudbury, Hudson, Stow, and Acton. The long ride adds Bolton, and the hills of Harvard and Littleton.